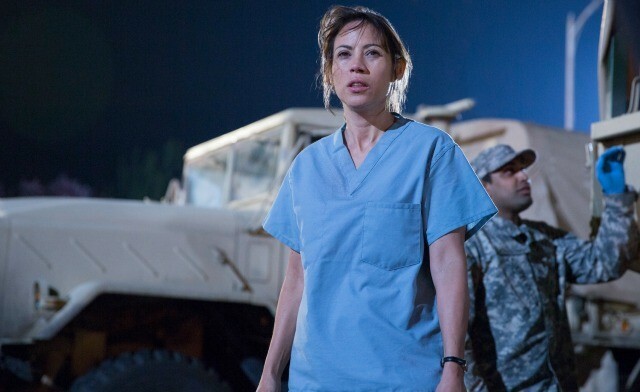 Fear the Walking Dead aired its season one finale yesterday, and I have to admit that I was kind of impressed. If you haven’t seen my recaps of the entire season, be sure to check those out. If you’ve been keeping up, you’ll know that I haven’t been overly thrilled about how the Walking Dead spin-off has turned out. Happily, the season finale was the action, adventure, scares, gross-out moments, and drama that we’ve come to expect from a story told in the Walking Dead universe. I was actually quite surprised by how much I enjoyed the season finale, and it made me pretty interested in what season two had to offer. But I unpack this all a bit more in my recap over at The Mary Sue. I hope you’ll join me over there to talk about Fear the Walking Dead and the finale! Disclaimer: Spoilers ahead! Read at your own risk if you aren’t caught up on Fear the Walking Dead! Alright friends, the first season of Fear the Walking Dead is in the books, and it was a pretty intense finale. If you’ve been reading the recaps I’ve posted this season, you’ll know I’ve not been thoroughly impressed with the show, largely because I found the dramatic irony it relied so heavily on frustrating at best, and unbelievable and stupid at worst. In the Talking Dead special, Chris Hardwick called out how hard fans have been on the survivors, mentioning that he hoped people wouldn’t immediately decide to shoot someone in the head if they looked sick in public, which is a fair point. Of course, the actor who plays Travis, Cliff Curtis, countered by reminding Chris of the walker who was discovered eating a dog, summing up my issue with the show pretty perfectly: No, you definitely wouldn’t shoot a stranger who looked sick in public, but if you saw a clearly sick individual doing something horrificlike eating a dog, you wouldn’t try to approach him and reason with him, right? If they tried to bite you or attack you, you’d protect yourself, wouldn’t you? Read the rest over at The Mary Sue, and let me know what you thought of the first season and the finale of Fear the Walking Dead in the comments!